Did your pet eat chocolate or get into the antifreeze in the basement? Act quick! It’s toxic, and you need to break out the poison patrol actions ASAP. But what do you do? Here are the five steps you need to take to get Spot back into good health in no time. It is natural to panic when a loved one is in trouble, but this is the time when you need to take charge of the situation and act with purpose and speed. 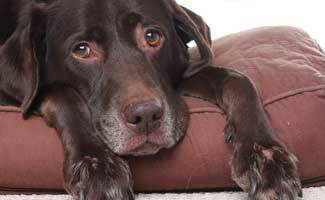 Is your dog acting lethargic, or more hyper than usual? Are there signs that he got into something he shouldn’t have that might be toxic, like a poisonous plant? Then you need to start by figuring out exactly what your pet’s poison is and how much he consumed. If it’s food related, you may have a little more time to act and treat than you would with chemical poisons. But, do not assume this. 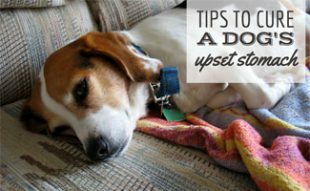 Take notes (literally) of what the poison is and your pet’s symptoms so you do not forget once you are in panic mode and talking to someone who can help. You may even want to take a quick video with your smartphone of strange behavior. If you have a pet, you should always have your vet’s phone number programmed into your cell phone and in a place in the home where you can quickly find it (refrigerator door perhaps). This way it is easy to locate when you need it most. It’s also a good idea to have the contact details for the 24/7 emergency vet that is closest to your home in case something goes wrong on the weekend or late at night. So, since you know right where the number is, do not delay. Call your vet right away to explain the situation and ask advice for next steps. If the office is closed, call the emergency vet. Be sure to have your notes in hand and be prepared to jump in the car to head for help immediately. If you cannot reach a local vet, you can call the Pet Poison Helpline. You can contact them at 1-855-764-7661. If you are reading this, it is probably too late to warn you against this but remember, that you need to act quickly. A local vet or poison expert is better suited to do this than your computer. And, they can help you treat your specific situation while keeping you focused on your dog versus all the random horror stories you will find online. So, step away from the computer right now and CALL THE VET. Do not administer home treatment unless directed by a professional as you may cause more pain than assistance. 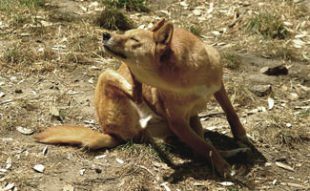 What has your dog gotten into that created a poison scare? If you think he has been poisoned, call you vet now. His life could be at risk. FOR THOSE THAT NEED HELP! FIRST try to get your dog to vomit. 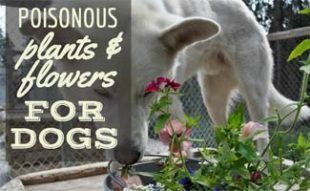 (HYDROGEN PEROXIDE) This too is a poison to your dog, but will induce vomiting sometimes takes up to 3min depending on how much you got them to drink. Next you need to get your dog to drink as much water as possible. Then get your dog to eat some activated charcoal pills as much as possible and as quickly as possible, keep some ready in case your dog continues to vomit, continue having your dog drink water if they can. This is not a cure to poisons but hopefully it saves your dog. The local vet is your best bet to save your animal as they can pump your animals stomach. SYMPTOMS CAN BE LOSS OF BALANCE, SCIZURES, and AGGRESSION(This is cause your animal is scared) Hope this helps! What if you aren’t sure. My dog just licked the ground. He seems for the most part, like himself. I don’t know what to think. It’s December. I can’t afford a vet. I don’t mean to be harsh with my response, but if I thought my dog had ingested poison I would take her to the vet immediately. In the worst case scenario, I wouldn’t want to risk her suffering and dying. I completely understand that finances are tight for you right now and realize that you don’t want to make an unnecessary visit to the vet. But keep in mind that if poison was ingested, and you didn’t take him to the vet, how would that make you feel? and my intention was not to make things worse. My intention is to help dogs in need and I feel that my answer puts the dog’s health first. I hope your dog is doing well. Sorry Angela, we don’t moderate comments over the weekends and holidays. How is Gunter doing today? Hope he is feeling better! The only reliable option that will help you and your dog are to take her to a local vet. Call your vet to get your puppies help immediately. Strichnine. And I am going to make damn sure that my Landlord pays. He just said the other day that he hated dods and offered us some strichnine to kill a dog who git in our trash. Now my beautiful little dog is dying I hate the landlord and pray that he dies. 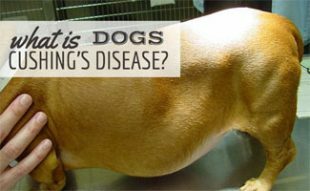 If you think your dog was poisoned you should contact your vet ASAP. My dog just ate about 4 oz of mouse poison and nobody is in there office right now my dog is scewed? Call an emergency vet immediately. If you didn’t take him back to the vet or animal emergency because of lack of money don’t let that stop you. No vet will turn a poisoned pet away. They will make arrangements for you to pay later, or make time payments. In the USA today when half the population is in poverty no one has emergency money put aside and if anyone knows this it is veterinarians. They will make a deal with you about payments. It is worth making payments to save your fur baby. I’d sell my blood and anything else I could to pay a vet who tried to save my dog or cat. My vet turned me away. She wanted 1200 up front no payment plan. He is really sick. They have him antibiotics and told me good luck. That is terrible. I would find a new vet immediately. Fortunately, I’ve never had a large vet bill like that but my vet has never asked for payment in advance (perhaps she would if it reached a higher amount). How can someone be a vet but turn away an animal who has been poisoned? How is your pet doing? I hope all is well. Not true. Vets have no problem turning you away if you don’t have the money. I was at an emergency vet. They showed me the bill before treatment. Asked me to pay first, then they would treat. I had been waited by for nearly two hours to see the vet because my dog ate any killer. She ended up charging me for the “chat” and sent us home. And I had to pay poison control $59 to talk to the vet. Your advice to call a vet is shameful. We clearly love our animals more than any vet and should be empowered and encouraged to handle their care in many situations. MY 14 year old Lab left the house went to unknown place and came back 40 mins later and instantly fell over and started the first convulsions and yellowish/frothy foam coming out mouth. This went on for 5 mins or so then he slowly came to. Then seemed disoriented in house attempting to walk up the wall and such. Then later in the day he had violent seizure/convulsions and seemed exacerbated by noise and sunlight outside. I took him in house and that lasted 30+ mins. I literally gave him some Hash infused coconut butter and THANkFULLY HE calmed down and his breathing slowed. I took him to vet but he was “out of it” from butter. The vet just checked to see if he was responsive when she touched him and he jerked his leg and she told me to “keep the seizures down with the butter” NEXT morning I didnt have chance to give him more butter before I awoke and he then started sets of what seemed like convulsions, paddling, kicking his feet, seems like he was suffocating, head back and lying on his side the whole time. THIS WAS THE START OF MY 24 HRS OF HELL. I could not get any HI butter down his throat as he would not open mouth/ as seemed “locked” so the tremors and heavy breathing continued. I took temperatures when heavy breathing and it was 105’s + I poured cold water on him got all the ice out of fridge and tried to cool him down. It did come down but STILL not able to quell the tremors/convulsions etc. I accidentally stepped on his arm while stepping over him with AC unit and he pulled it back as if he felt it [during a “seizure too]. His eyes were watery etc. but seemed he could see and all but his body was out of control and it went in cycles. I was torn between checking on him and leaving him alone because every time he heard my seemed the convulsions got worse. MY NIGHT OF HELL ended just before noon next day and he died with his head back. He never had a seizure before this episode in his 14 years+. I PAINFULLY TOOK VIDEO OF HIS ACTIONS AND OFFERED IT TO THE VET BUT SEEMS THEY JUST CALLED IT “BRAIN ISSUES GOING ON FROM HIS AGE” DESPITE MY VET ASKING ME IF HE HAD ACCESS TO STRYCHNINE ON THREE DIFFERENT OCCASIONS. [THAT actually seems odd]. If strychnine poisoning, would the tremors be continuous or come and go? PLEASE GIVE ME SOME INSIGHT OR A COGENT WEBPAGE EXPLAINING THESE UNANSWERED QUESTIONS as I promised my dog while SUFFERING BEYOND ANYTHING I COULD IMAGINE that I would GET ANSWERS FOR HIM AND HIS DEATH WOULD NOT BE IN VAIN. please help me find closure for my VERY TOUGH BOY. Unfortunately this poor dog had to suffer horribly for your 24 hours of hell. He should have been rushed to the vets to get Iv meds. Our animals count on us to take care of them. They can’t speak and can’t take care of themselves. It’s like having a 2 year old running around. He/ She should have been taken to a veterinarian or emergency vet to receive the proper medical treatment instead the poor thing died a miserable death. So sad. Hey dummy read it again, it said that he took him to vet multiple times.